For me, the best part of giving at the holiday season is stuffing a stocking with small, unexpected, useful items. The kind that surprise and delight the recipient. 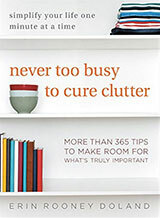 If you feel the same way, check out our suggestions for those on your list who love to be organized. You cannot go wrong with a good pocket knife. They are immensely useful, convenient, and inexpensive. You can go crazy pouring over every option, but I rely on the Swiss Classic SD as my main carry. I’ve got two, in fact: one on my set of car keys and other on my wife’s. I’ve used mine to open packages, cut rope and string, remove tags from clothing (It easily slices through those annoy plastic rings! ), tighten/loosen screws, and open letters. If you’re looking for something a little more substantial, I recommend the Leatherman Wave, as it has a great mix of tools, is solidly built, and has a nice ergonomic design. 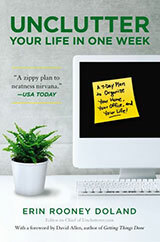 The Grid-It’s tagline of “the ultimate organizer” may be hyperbole, but not by much. This unassuming little tool comes in several sizes and can hold everything from business cards to cellphones, cables, pens, Altoids tins, and more. It’s secure and reliable. Keep it in a bag, use it for travel, or organize a junk drawer once and for all. They are also great for students who have limited storage space in dorm rooms. This cable management set from IKEA made my heart skip a beat. Get those cables under control and out of the way. Even if the people on your list have modest cable organization needs, they will appreciate getting them neatly arranged. A scanner can be such a boon to organization. Whether the goal is to go paperless or get documents quickly organized in the cloud, a scanner will get the job done. Since we’re discussing stocking stuffers here, we recommend the Doxie Go SE. It’s portable, wireless, and connects to cloud services like Dropbox, Evernote, and Apple’s iCloud. You can expand its memory with an SD card and when connected to Wi-Fi, it can even scan without a computer! 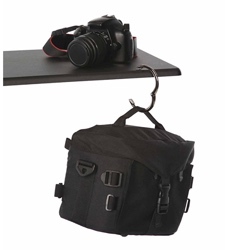 The Instant Bag Hanger is a little metal ring which, when opened, lets you hang nearly any bag that weights up to 30 pounds from a counter top, table, cubicle, bathroom door, stroller handles etc. If you’ve ever had that moment of “What do I do with my bag?”, here is the answer. Plus, there is no need to search for it when you need it: simply clip it to the exterior of the bag for easy retrieval. This is one of those gifts that I end up buying twice: once for my recipient, and again for me. You might not know this, but Amazon can hook you up with a house cleaner. Depending on where you live, you may have access to Amazon Home Services (click to confirm availability in your area). Simply provide some information like the size of your house, the type of cleaning you’d like completed, and the number of worker hours you expect. It could be quite nice to receive a post-holiday clean up. Finally, here is one for anyone who likes to loan novels, cookbooks or even tabletop games. 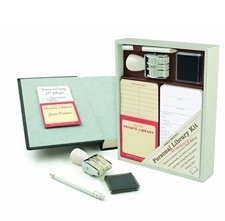 The Personal Library Kit uses old-fashioned library lending techniques for an organized bit of nostalgic fun. Lend your items with confidence that they will be returned. Regarding the scanner, people should know that you can use a Google Drive app on your smartphone to scan and save searchable pdfs to Drive (and then move them where ever you like.) It probably doesn’t have all the bells and whistles of the scanner but it’s free and you’re likely already carrying the equipment. Cabela’s makes a small multi-tool with knife which is a great stocking stuffer. It comes in several colors, including pink, but always in a black case with belt loop. Includes pliers with wirecutter, pocketknife, combo Phillips screwdriver/bottle opener, common screwdriver, jar/bottle/paint can opener, scissors, saw. 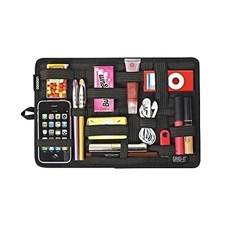 Fits easily into standard purse organizer and affordably priced. Will unjam my car door lock which acts up every few months and looks sturdy enough to break a window or saw seat belt in an emergency. Expensive alternative: Leatherman Squirt. Has a file but no Phillips head. The best use I’ve found for the SA knife on my keychain is you can hold your keys in your mouth with it if both hands are full when walking to and from your car. I still use an SA Executive purchased in 1983 in Bern, Switzerland. The orange peeler gets the most use.